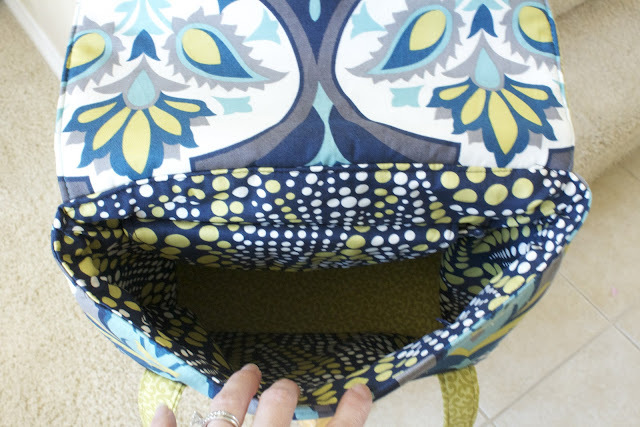 A few weeks ago I was asked to pattern test a bag created by Sarah at Sew Sweetness. When I first saw the pattern I thought the bag was super cute and knew I wanted to give it a try. I found my fabric at a local quilting store. It is Timeless Treasures in Portobello. I just love the print of the Navy floral fabric. This bag is deep yet comfortable. It is made to hold an iPad, kindle, or other small electronic device in an interior padded pocket...but I have just been using mine as a small diaper bag. It was quick and easy to put together and I highly recommend the pattern. Sarah has some great designs- check out her store here. 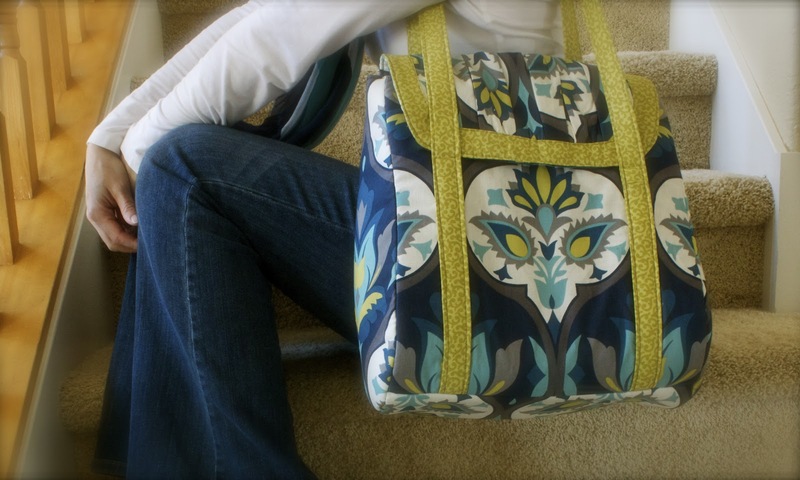 I have been getting some great use out of my bag and look forward to seeing what Sarah creates next! I found you on the Craft-O-Maniac Party. I'm your newest follower via GFC. I would love for you stop by and check out my blog Fluster Buster I also host a party at 6pm on Tuesday's Fluster's Creative Muster and would be thrilled if you linked up this post. i love that! i think that'd be a perfect gift for a friend who has all these electronic gadgets. This is gorgeous! 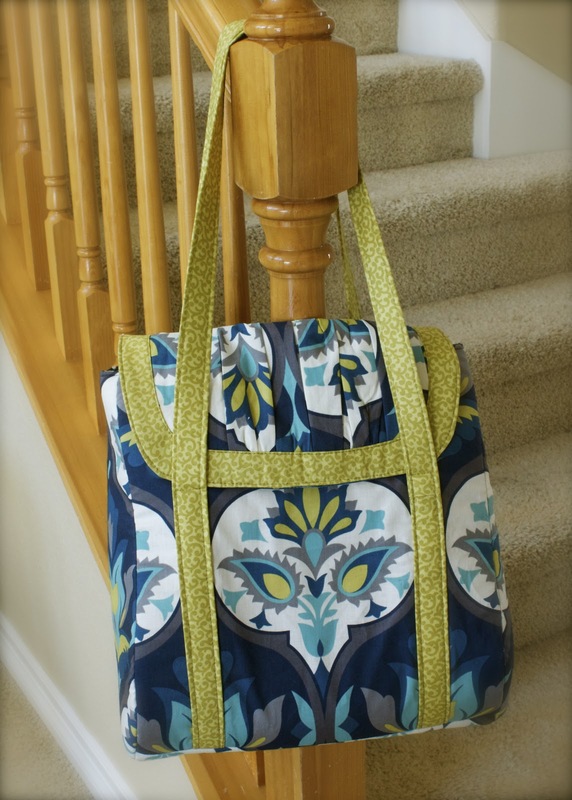 I love the fabric you chose and the bag itself looks so practical!